“The General” is considered to be Buster Keaton’s finest silent film. This restored, high definition version has an orchestral soundtrack. Union solders have stolen The General, a Confederate train manned by Johnnie Gray, who was unable to enlist in the Confederate army because he is needed as an engineer. The Union plans to use the train to supply its soldiers in a sneak attack against the Confederates. But now it’s up to Gray and his love, Annabelle Lee, to reclaim The General, recross enemy lines, and warn the Confederates. Running time: 67 minutes. After the interval a fascinating B movie from much closer to home will be screened. 75 monthly orders have been placed (missing only one month, June 2015). 2,839 individual orders were processed. 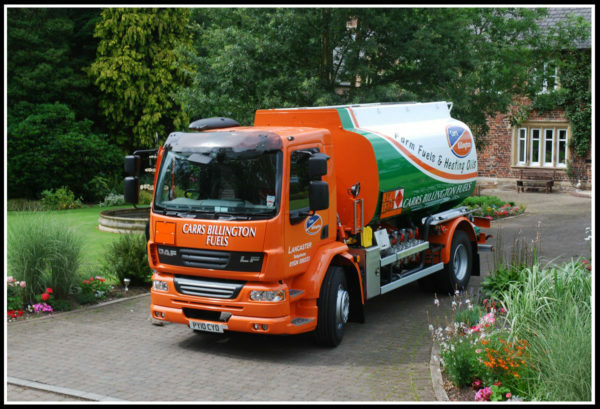 A total of 2,008,945 litres were ordered. The savings to members are in excess of £80,000. The total value of the business placed with the oil suppliers is over £900,000. Brian is now looking for a deputy to stand in when he’s away on holiday or unable to process the order. 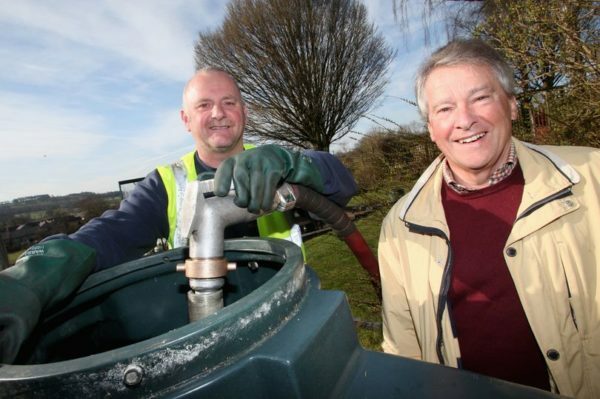 You can e-mail Brian on humshaughoilbuyinggroup@btinternet.com or call on 01434 689123 or 07500 045711. 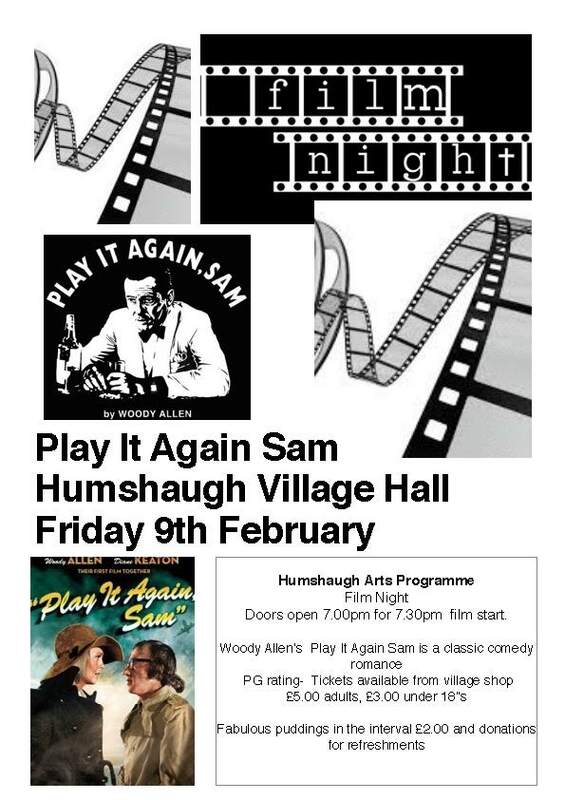 Woody Allen and Dianne Keaton star in this month’s Humshaugh Arts Programme Film Night movie “Play It Again, Sam”. 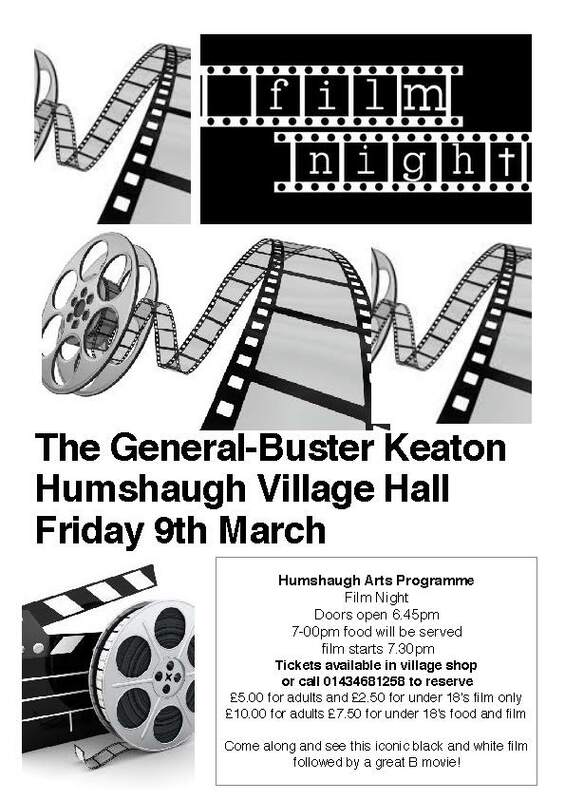 The 1972 romantic comedy is being screened at Humshaugh Village Hall on Friday February 9th. Buy your tickets at the shop. We hope you have a great Christmas and a healthy and prosperous New Year. We’ll be open right up until Christmas Eve for your last minute essentials. We also stock a range of gifts and cards. 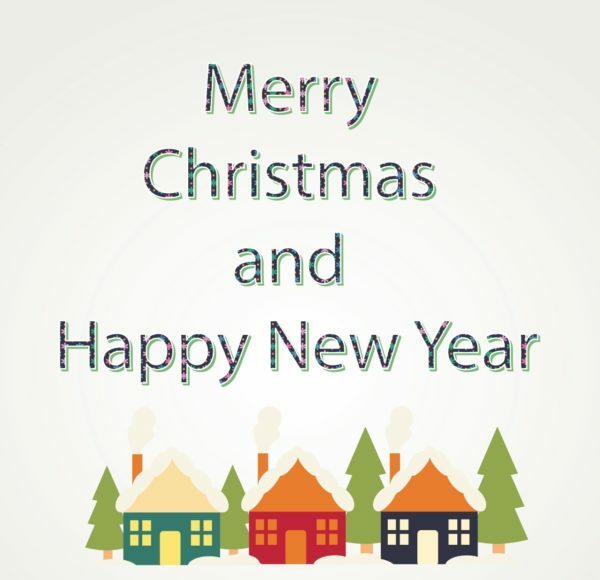 Over the holiday period we will only be closed on Christmas Day, which means you won’t have to go too far if you run out of something. Development of 20 residential dwellings (use class 3) with associated infrastructure and landscaping. Land South Of Chesters Meadow, Humshaugh, Northumberland.